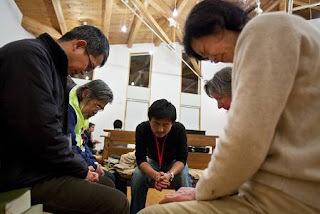 "The need is great" - Tokyo Baptist Church from imb connecting on Vimeo. After the March 11 earthquake and subsequent tsunami, the Japanese people have been trying to recover, rebuild and survive. Members of Tokyo Baptist Church and other believers have been helping in any way they can with food, water and spiritual nourishment.